MINNEAPOLIS, MN – Dorothy’s missing ruby slippers were never far from home. 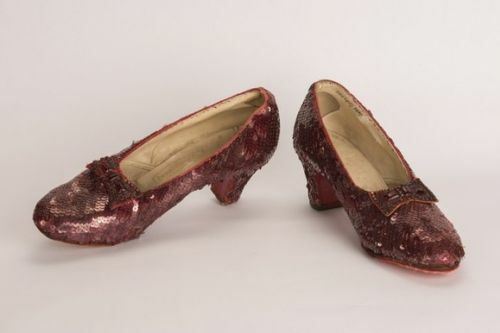 Stolen from the Grand Rapids, Minnesota Judy Garland Museum in 2005, a pair of Judy Garland’s magical slippers went missing for 13 years, but agents from the Federal Bureau of Investigation discovered “The Wizard of Oz” iconic shoes from the 1939 film during a sting operation in Minneapolis this summer. The recovered slippers are one of four pairs, and are known as the “traveling pair,” worth millions of dollars, according to the FBI. At the time of the theft local authorities conducted countless interviews, concocted numerous theories, and searched local iron ore pits, but no arrests were made, and no slippers were found. The Grand Rapids Police Department requested FBI assistance in 2017 when an extortion plot against the Markel Corporation surfaced and made the discovery during the sting operation, according to the Department of Justice District of North Dakota. Agents from the FBI’s Minneapolis, Chicago, Atlanta, and Miami division, the FBI’s Criminal Investigative Art Crime Team, the Smithsonian’s National Museum of American History, and other agencies were involved in the investigation, according to Christopher Myers, United States Attorney for the District of North Dakota. After discovery, the slippers were transported to the Smithsonian’s National Museum of American History in Washington, D.C., where conservators conducted in-depth examination to verify the slippers’ authenticity. “At the heart of nearly every art crime, we see greed woven into the fabric of the scheme – greed to take it, and greed to profit from its return, FBI’s Special Agent Jill Sanborn said in a press release. U.S. Attorney Myers thanked the agencies involved. The case has been assigned to the U.S. Attorney’s Office for North Dakota, according to the Department of Justice. 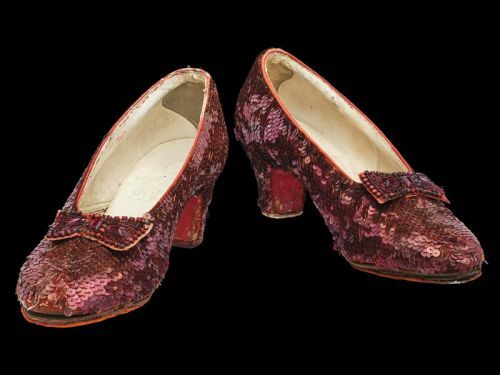 Tips pertaining to the ruby slippers theft can be called in anonymously to the FBI at 1-800-CALL-FBI, or via the FBI’s website at tips.fbi.gov.